Pigmentation is undesirable dark discolouration of face or body skin. It is a common problem with Indian skin. Melasma: This is a particular type of pigmentation that involves the cheekbone area of adult women. This happens due to hormones. Others: Several other skin conditions cause darkening of the skin. Pigmentation happens due to increase in melanin and melanocytes in epidermis and dermis layers of skin. Melanocytes are pigment cells usually found in the skin. They produce a pigment called melanin. Melanocytes get activated by sun exposure, injury and under the influence of some hormones. Excess melanin causes darkness and pigmentation. 1. Chemical Peels: Glycolic Acid, Kojic Acid and Retinol based peels reduce the pigmentation. Cosmelan peel and ZO peels are effective for pigmentation. 2. Cosmeceuticals: ZO products and ZO peels are very effective against the most resistant pigmentations and melasma. 3. Microneedling: This works for dermal melasma. 4. Sun protection: Sun protection with the appropriate use of sunscreen and with physical sun protection is an essential part of the treatment of pigmentation. Do fairness and dark spots cream work? The fairness and spot creams that are available in the market contain the low strength of active ingredients.They have minimal effect, don’t act at deep levels and can not be applied to all types of skins. Pigmentation treatment products prescribed by dermatologists and plastic surgeons are medically tested products, which are specific to your problem. They give better results as they are unique to every patient’s requirement. 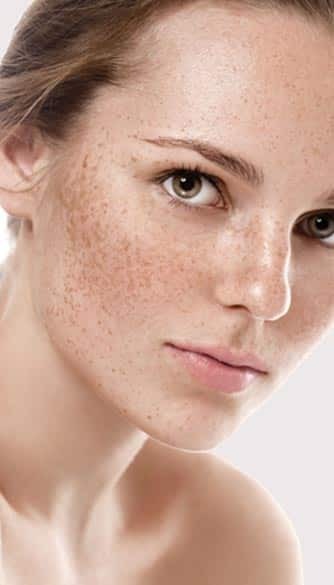 Which pigmentation treatment is best for me? Assessment is done by a doctor on individual case basis. The treatment plan is decide based on your age, skin type, depth of pigmentation, and how soon you want to see the result. Are the results of fairness treatment permanent? As long as sun protection is used correctly, most pigmentations can be maintained on creams after clinical treatments.